Power and Energy Monitors has over 20 years of experience in providing customers with professional surveys for power quality and energy monitoring. 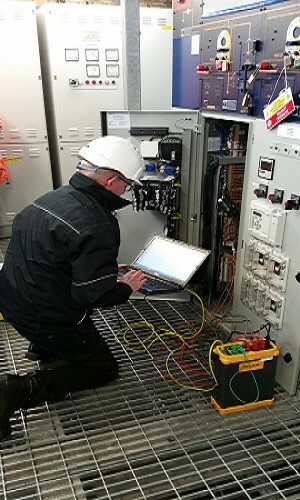 Harmonic and Power Quality Surveys to demonstrate compliance to energy networks standards. Bespoke data recording and analysis services tailored to your specific requirements. Most surveys are carried out using the Fluke 1750. This instrument will log voltage, current, frequency, energy (KVA, KVAr, KW, KWhr and PF), harmonics and flicker and will capture surges, sags and transients from 200ns as well as any planned events such as motor starts etc. A formal report is provided on completion of the survey which will include graphs and data for the aforementioned parameters (see attached sample survey). This is a comprehensive fingerprint showing logged data, minimum, maximum and average values for parameters on each phase including neutral and where these exceed specified limits. The report is particularly useful where a third party is involved. Additionally, any observations relating to clients interests or otherwise are provided in an executive summary. Energy Surveys – Typically comprise a one-week recording to log Watts, Demand, VAs, VARS and Power Factor required for energy efficiency analysis, transfer or expansion of power systems, etc. Troubleshooting Power Problems – Typically a one-week or longer survey, depending on frequency of fault being investigated. The Reliable Power Recorder is considered by Regional Electricity Companies to be the best system for investigating problems where it is not known what is causing the problem, i.e. whether it is voltage, or current or harmonics etc. One day on-site investigations – Investigation of problems requiring several recordings at one or different locations, e.g. investigating trips on motor starts, standby generator/UPS performance tests etc. Harmonic and Power Quality Surveys – Surveys to demonstrate compliance to Regional Electricity Company standards, G5/4 and BS EN 50160. Often carried out as pre and post installation of non-linear or high power systems, e.g. large pumps, drives. Also to determine whether power problems are being generated internally or being imported from the supplier.